Convenient and economical to use, applied easily by brush, swab or spray, to cold surfaces and then heated to melt the solder and make the joints. Only a thin coat is needed and, as the solder and flux are both applied at once, it saves time. 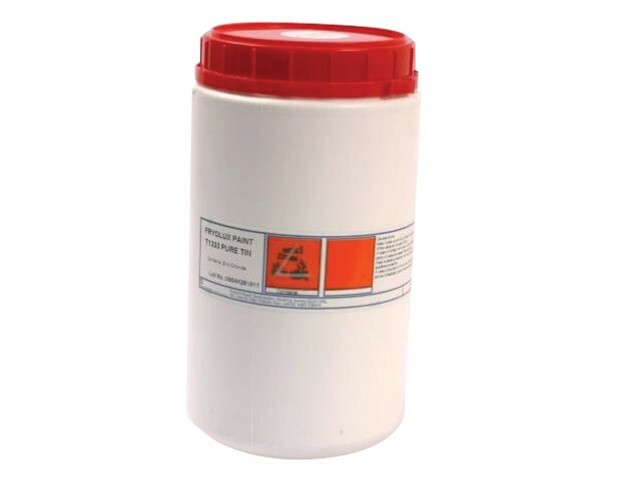 Used in a myriad of industrial jointing applications and a firm favourite with modellers, Fryolux is a uniform mixture of finely powdered tin/lead solder and zinc chloride activated flux. It has a creamy consistency and is reported to be ideal for pre-tinning, solder coating and soft solder assembly.